The robust, easy to use SmartPlug range is designed to give the operator greater speed of use, unmatched measuring accuracy and superb repeatability, especially in harsh shop-floor environments. Advanced hand held ergonomics allied to an ingenious mechanical / electronic system render SmartPlugs the easiest to operate Bowers bore gauging system to date. The flexible nature of Bowers SmartPlugs range means that they can be supplied fitted with easy to read electronic indicators (ideal for automatic data collection), conventional analogue indicators, or transducer probes linked to remote digital readout units. Recent improvements to the popular Bowers Cylinder Bore Gauges, such as the introduction of tungsten carbide contact points have ensured even greater reliability, ease of use and superior wear resistance. 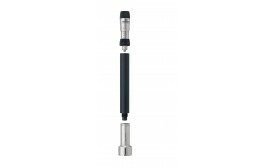 Suitable for use in most environments, these gauges are particularly useful for detecting ovality, or taking measurements relatively deep inside bores. Bowers XT Analogue Bore Gauges are an economical solution to accurate shop-floor bore measurement. The extended mechanical travel of these advanced two or three point gauges ensures that exchanging measuring anvils is now unnecessary. Their wide application range, 2-300mm, rugged construction and easy read scale, ensure both accuracy and ease of use. 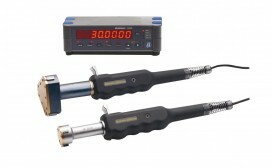 XT measuring heads and setting rings are supplied with UKAS certification. Bowers has developed XTA Micro to cover the measuring range 2-20mm. The XTA Micro incorporates a more compact mechanical controller and Vernier scale for improved resolution. Bowers XT Analogue Bore Gauges are an economical solution to accurate shop-floor bore measurement. The extended mechanical travel of these advanced two or three point gauges ensures that exchanging measuring anvils is now unnecessary. Their wide application range, 2-300mm, rugged construction and easy read scale, ensure both accuracy and ease of use. XT measuring heads and setting rings are supplied with UKAS certification.. Bowers has launched the new XTA Micro to cover the measuring range 2-20mm. The XTA Micro incorporates a more compact mechanical controller and Vernier scale for improved resolution. Bowers XT Analogue Bore Gauges are an economical solution to accurate shop-floor bore measurement. The extended mechanical travel of these advanced two or three point gauges ensures that exchanging measuring anvils is now unnecessary. Their wide application range, 2-300mm, rugged construction and easy read scale, ensure both accuracy and ease of use. 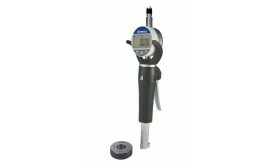 XT measuring heads and setting rings are supplied with UKAS certification. 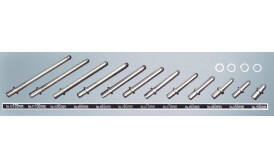 Bowers Ultima Bore Gauge offers a choice of resolutions up to 0.0001mm. Featuring the Bowers ‘FASTFIT’ measuring heads with extended measuring range (above 14mm), the Ultima boasts a simple lever operation and a constant measuring force, ensuring outstanding ease of use and repeatability under laboratory or shop-floor conditions. The MicroGauge 2-point bore gauging system has been designed specifically for the measurement of small bores between 1.0-10.0mm. Featuring a digital readout and extremely compact overall dimensions, the MicroGauge is truly a pocket-sized instrument. The digital readout and measuring head together are about the same size and format as a ballpoint pen which represents a big advantage for those needing to measure small precision parts and who need to have their gauge with them all the time. The clear LCD display is easily set using only two buttons and results are shown with switchable 0.01/0.001/0.0005mm resolution. 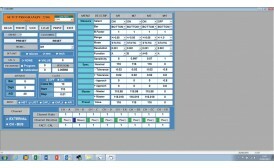 Data transfer is via Proximity-RS232 or Proximity-USB output. 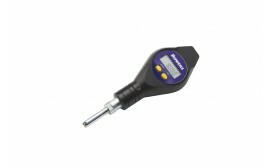 The measuring heads are equipped with spherical hard-chromed contact points and are set in appropriate setting rings. 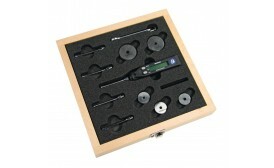 Like all Bowers bore gauging products the MicroGauge system is available as individual instruments or as full sets. All setting rings are supplied as standard with UKAS certification. The robust Bowers XTL Lever range is perfect for vertical bore measurement, providing accurate and repeatable bore gauging under inspection department or shop-floor conditions. The XTL has a simple ergonomic action and can be fitted with a wide variety of analogue and digital indicators or even transducer probes. The range can be provided with IP65 rated digital indicators, rendering it resistant to coolant, water and airborne particles. 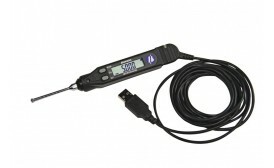 A 'wireless' gauge module is also available, enabling cable free communication with remote data collectors, PCs etc. The cost-effective new XTL boasts hardwearing extended travel carbide measuring anvils and is able to measure diameters up to 100mm.